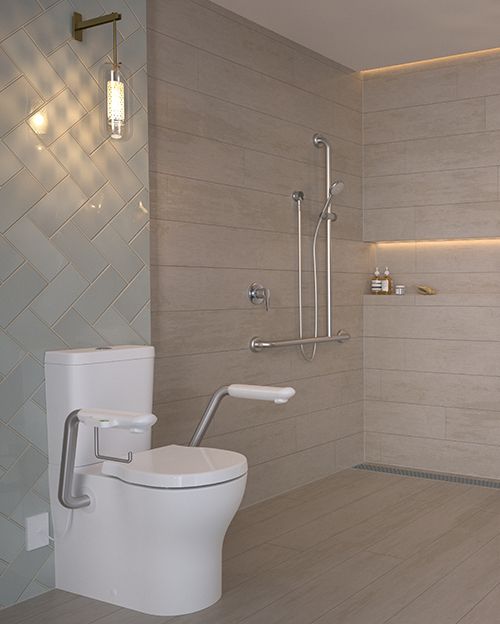 Today Caroma offers a range of products to cover every aspect of bathroom functionality; from grab rails, raised toilets and rail showers to single-lever mixer taps and cistern-wide back rests. 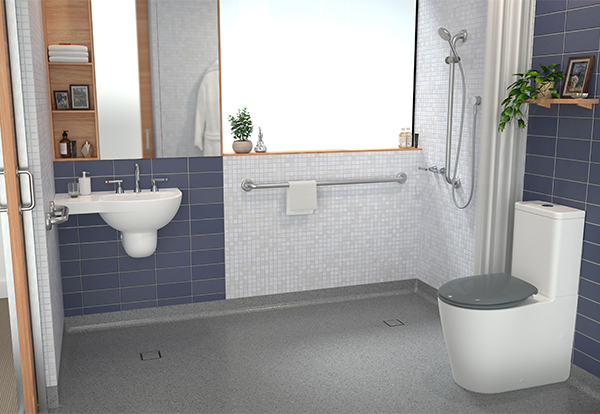 The entire independent living portfolio can be retrofitted enabling easy upgrades to existing bathrooms. 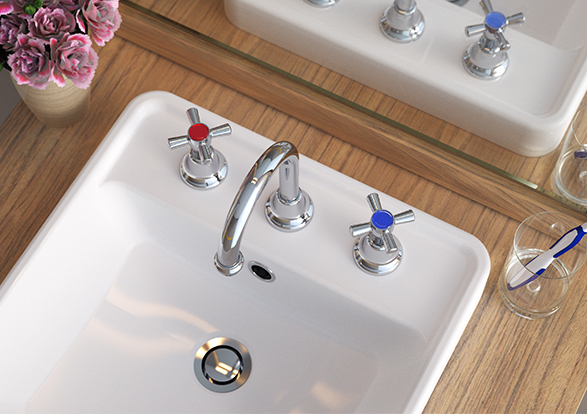 The range incorporates both stainless steel and chrome finishes which provide timeless aesthetics ensuring a bathroom can reflect functional contemporary designs. 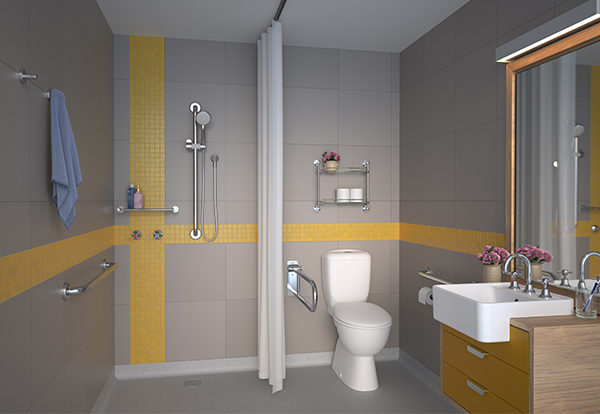 Bathroom design is an important factor in enabling independency in the home for longer. 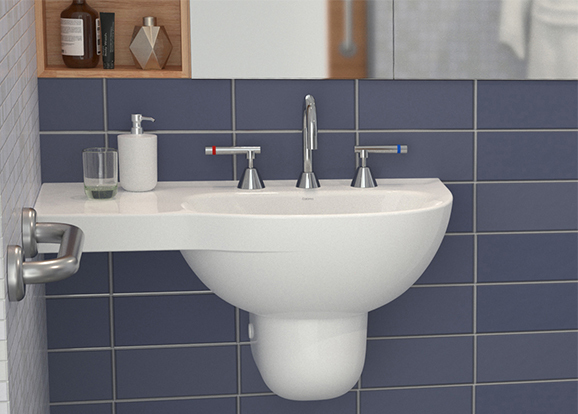 Caroma care products are designed in cohesive ranges that look contemporary and beautiful in the bathroom, meaning regardless of an individual’s needs, lifestyle or budget, Caroma has a product to suit. Our gold, silver, bronze options can provide the inspiration you need to create better solutions for better living. 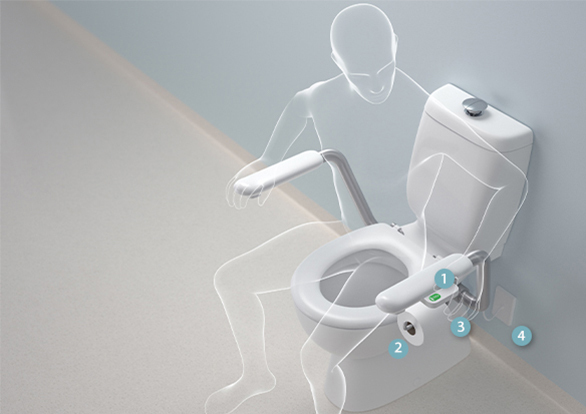 Caroma offers a range of toilet suites which are compatible with standard armrests or nurse call armrests. Armrests are ideal for providing the elderly with some additional support in the bathroom so they can maintain their independence. Caroma armrests are simple to remove and store away when they are not in use. Nurse call armrests are simple to connect and remove when not in use. Dementia describes a collection of symptoms that are caused by disorders affecting the brain. It is not one specific disease. Dementia affects thinking, behaviour and the ability to perform everyday tasks. Brain function is affected enough to interfere with the person’s normal social or working life. 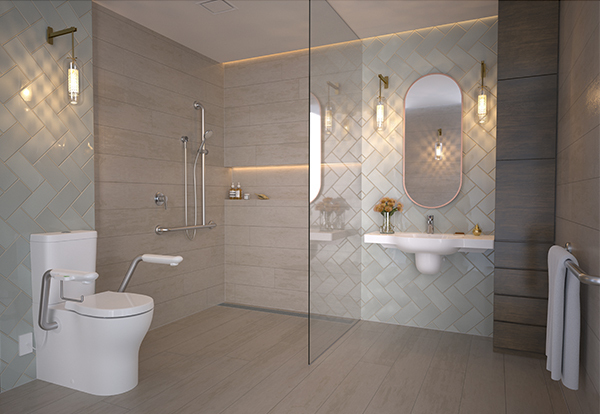 Caroma has partnered with University of New South Wales (UNSW) Built Environment department to better understand the needs, expectations and desires of Australians towards bathrooms to support them as they age. 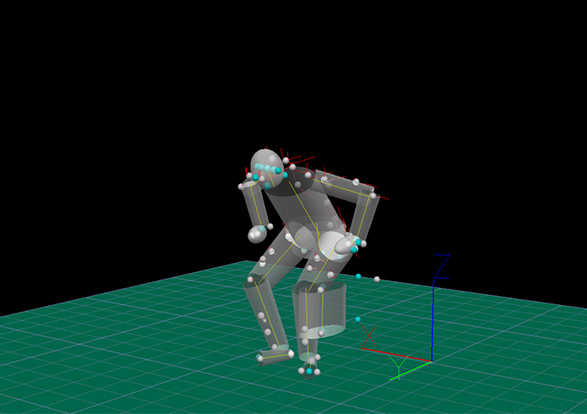 Insights and information gained from our research is integrated by our Research and Design team to support innovative product development processes. 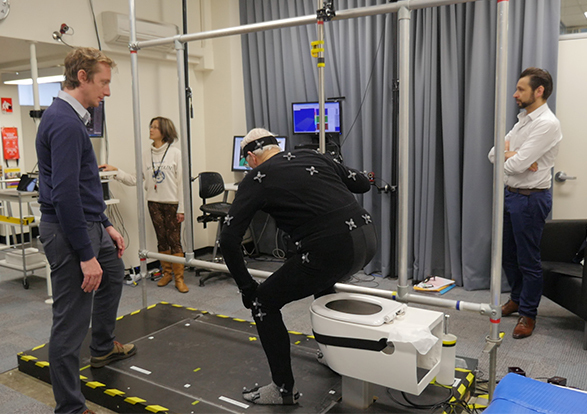 By better understanding user preferences and task performance of older people through methods such as motion capture (during UNSW research), Caroma has been able to develop superior independent living products, improving the confidence and mobility of our consumers in the bathroom space. Dr. Andrew Rochford sheds light on the benefits of updating your bathroom while you're still fighting fit. Love your bathroom longer with Caroma!